This is where my addiction began. I signed up for a quilt class to "get rid of some of the fabric I had". 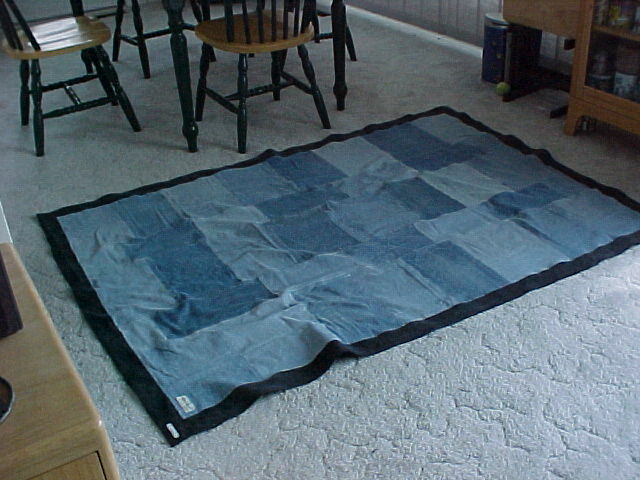 If you are a quilter, you know what happened next. Yes much more fabric than I had in the first place. 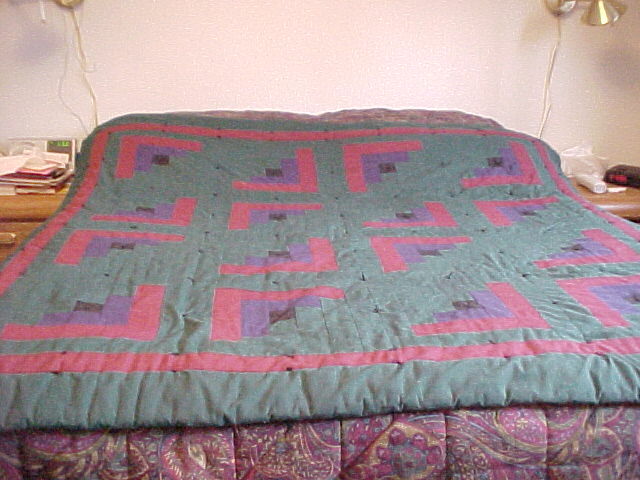 The quilt is made with poly cotton broadcloth and the batting is a very old cotton batting comforter that belonged to one of my grandmother's. The cover was rotting so I covered it with my log cabin. It is very heavy and I love sleeping under it. The minister at our church was leaving and she gave me a bag of her husband's worn out jeans because she knew I would do something with them. Well what I did with them was surprise her and her husband with a denim blanket.